The Conference will be held at the Auditorium and Conference Center Meeting Rooom at Okinawa Institute of Science and Technology (OIST). OIST is located in the Onna Village, around the middle of the main island of Okinawa. The detailed information about OIST can be found at OIST website, and access information will be found at Access & Map. We set our main hotel at Rizzan Sea Park Hotel Tancha Bay. In addition, we have kept enough number of rooms in Moon Beach Hotel. Reservation can be possible from Registration page. For attendee who would like to stay cheaper, we recommend to share a room by two. If you would like it, please register your name at this doodle pole for shared rooms before 19th June. The price per night will be ~10,000 JPY, and the hotel will be Rizzan Sea Park Hotel Tancha Bay or Moon Beach Hotel. For students, we will prepare Seaside House and dormitry in OIST. Because the capacity is limited, please let us know as soon as possible if you want to stay there. Naha airport is only the airport in Okinawa Main Island. OIST is located at about 50 km north-east from Naha city and the airport. The easiest way to access hotels and OIST is to ride an Airport Limousine Bus from the airport. The bus to OIST will also stop in front of Rizzan Sea Park Hotel and Moon Beach Hotel. We recommend to use them to access to Hotels and OIST. Time table of Airport Limousine Bus is here. One should buy the ticket for the Limosine Bus in advance at your hotel desk or the ticket counter of the domestic terminal. They do not sell the ticket on the bus. For attendees who arrive late on 29th and 30th June, we also prepare the shuttle bus on 19:30 and 21:30 at Domestic Terminal. 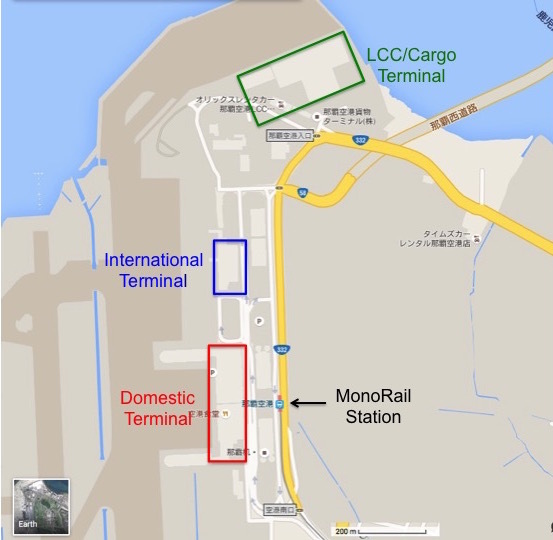 Naha airport has three terminals; Domestic, International, and LCC/Cargo terminals. 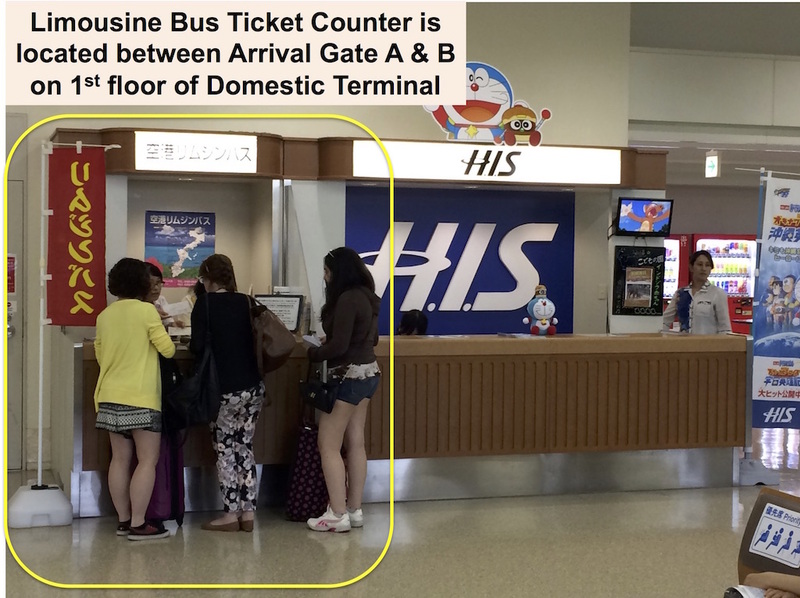 Domestic Teminal : The Limousine Bus Ticket Counter is located between Arrival Gate A and B on the 1st floor. Limousine Bus departs from here. International Teminal : About 200 m apart from Domestic Terminal. One can access them by using free shuttle or by walk. The timetable of the Limousine Bus says that the buses start from Domestic terminal and also stop at International Terminal, but no ticket counter. So, we recommend to move to the Domestic Terminal, buy the ticket, and then ride the bus from the Domestic Terminal. LCC/Cargo Terminal : One can only access there by the LCC shuttle bus, because it is inside the Cargo Terminal and is the restricted area. 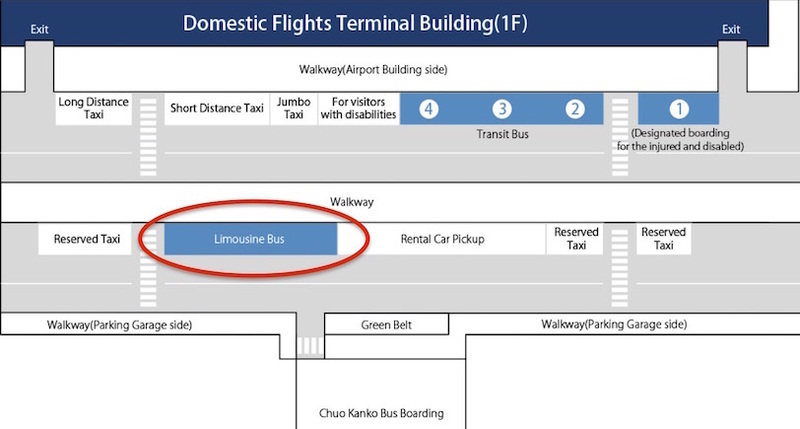 After arriving at the LCC terminal, please move to the Domestic Terminal by the LCC shuttle bus. For attendees who will arrive late on 29th and 30th June, we prepare the shuttle bus to Rizzan Sea Park Hotel, Moon Beach Hotel, OIST and Seaside House. The bus departs at 19:30 and 21:30 on 29th and 30th June, respectively, from the Domestic Terminal. If you like to use it, please register at this doodle pole and go to a meeting place 5 minutes before the departure time. 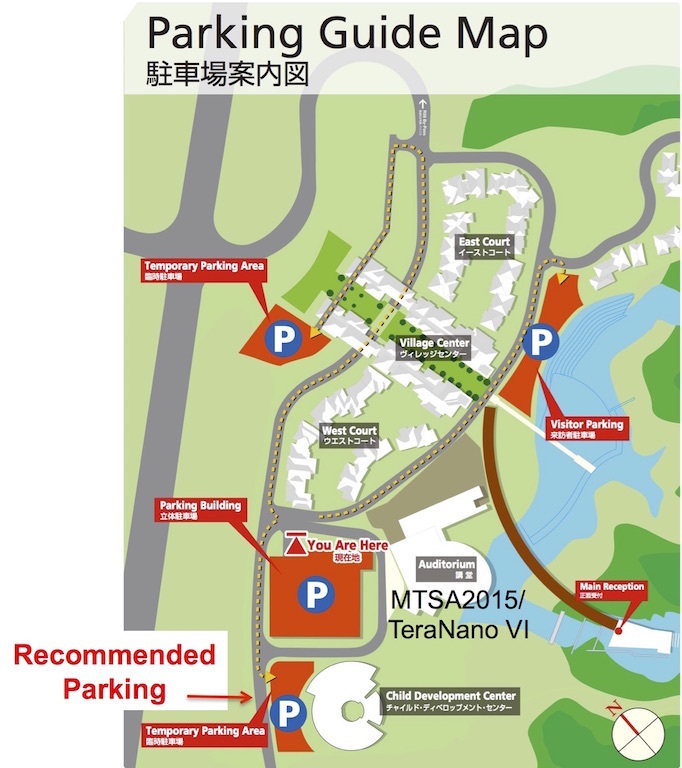 Our staff will be waiting for you with a signboard of MTSA2015/TeraNano6. 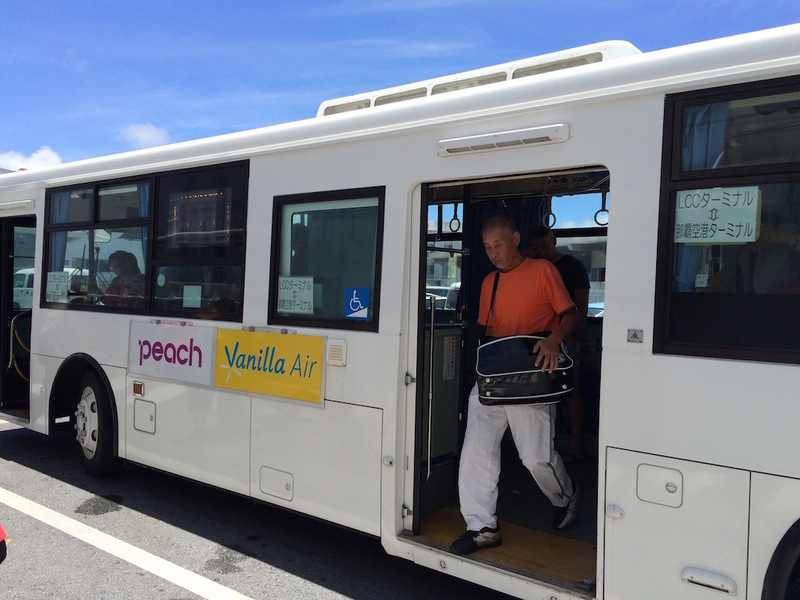 In addition to the buses from to Naha Airport, we prepare the shuttle bus between hotels, Seaside House, and OIST. The tentative bus timeline can be seen here. 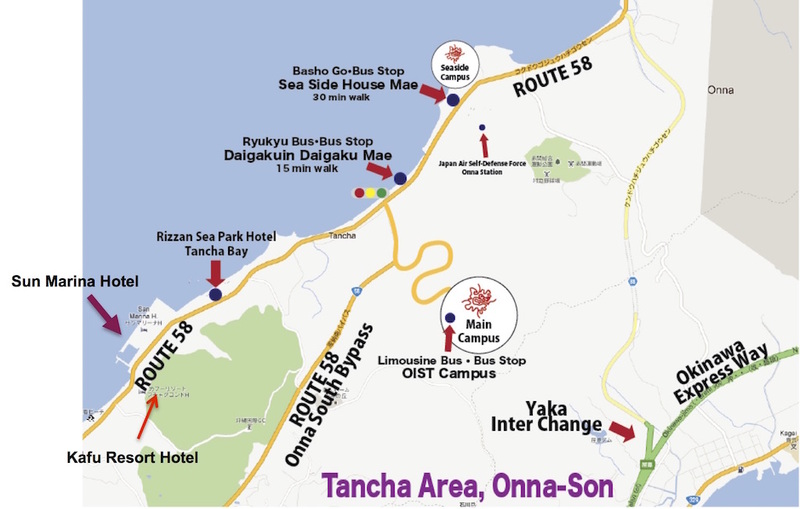 Reception will be held at Rizzan Sea Park Hotel Tancha Bay on 30th June, and we will prepare shuttle buses from/to Moon Beach Hotel, Seaside House and OIST. The shuttle bus to OIST will be also prepared during 1-3 July from/to Rizzan Sea Park Hotel Tancha Bay, Moon Beach Hotel, and Seaside House in the morning and evening. 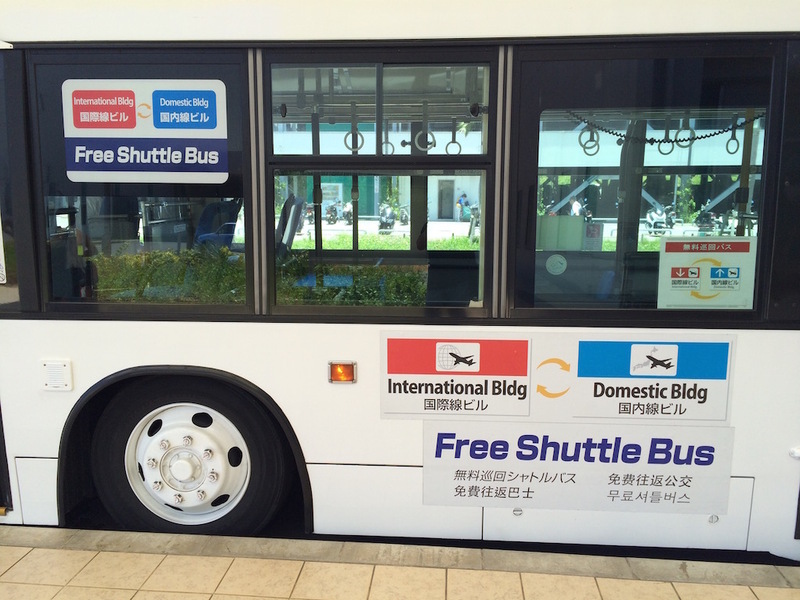 For attendees to stay in OIST lodge and Seaside House, please get off the bus at OIST. We arrange students waiting for the bus arrival. For people to stay at Seaside House, we will send you by car from OIST. Parking in OIST is available. Below is the parking map. If you come to OIST by car and your stay is the OIST lodge, please visit in front of Auditorium on time to the arrival of Limousine Bus, then you can get your room key from students waiting for the bus arrival. copyright (C)MTSA 2015 All Rights Reserved.